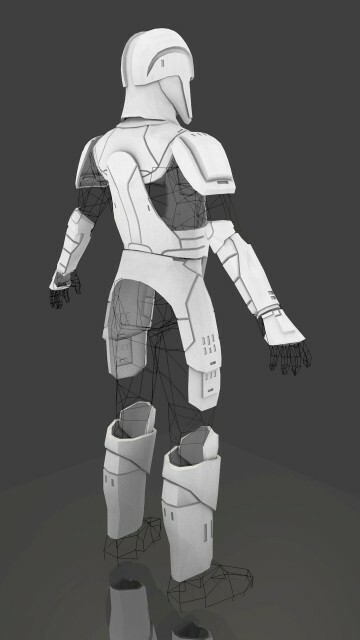 You can see how the lower armor rises up to meet the upper chest piece front and back. I found this feature a nice touch, as it allows a justifiable powered armor, while also looking stylish. I also love the pads on the back of the arms. I think those are the my favorite feature in the whole suit.